The highly anticipated addition to the Marvel Cinematic Universe, Captain Marvel, is at times soaring high while at others crashing and burning. While utilizing the same formula Marvel has always done we are left with a good movie and nothing more. Let's discuss the highs of this movie and that would start with the magnetic pairing of Brie Larson and Samuel Jackson. 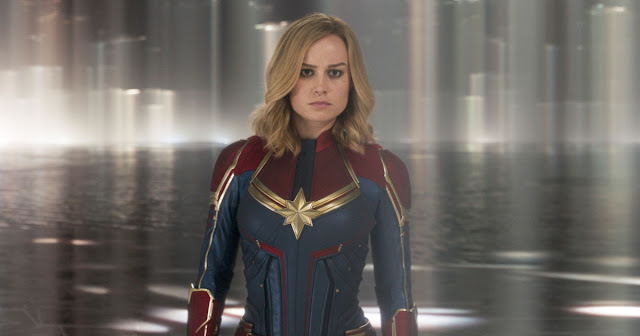 Brie Larson captures the essence of Captain Marvel so incredibly well amid the murkiness and convoluted origin story she is in. While Samuel Jackson reprises his role as Nick Fury and knocks it out of the park with some nice humor and a look at Fury's early career a part of Shield. The visuals were very good as far as CGI and action scenes, but we are left with some pretty bland environmental scenes where it felt like they didn't want to try anything new or create a spectacle. Now as far as the lows of this movie we will start with the Skrulls, a beautiful designed alien race that looks straight out of the comics, whilst being given the biggest shaft of any villain storyline yet and a complete story change compared to the comics. Jude Law was a great addition, just like the rest of the Star-Force Commanders, that was left utterly formulaic and bland. Each member gets their 5-10 second highlight and nothing more. The writing was very problematic for me, as it jumped all over the place and relied too much on nostalgia and the classic "I figured out how to win without any explanation whatsoever" mindset. Overall, the movie was not horrible but nothing better than good. It had great moments and inspiring ones, but nothing that was truly emotional unlike the now iconic No Man's Land scene from Wonder Woman. 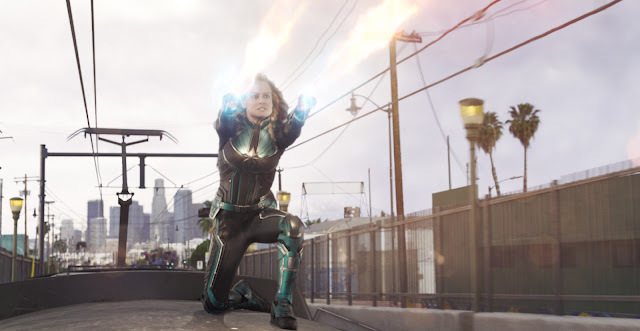 For Marvel's first female-led superhero movie, it is a landmark in it's cinematic universe. However, nothing more as it ends up missing it's mark more often than not.